Virtual Reality (VR) and Augmented Reality (AR) tools (such as headsets) are moving towards mass adoption as they become increasingly affordable. When you integrate this technology with a database of costings there is the potential to save hundreds of hours of processing time as hotel owners, managers and designers are able to instantly see the visual and financial implications for changes to their plans. 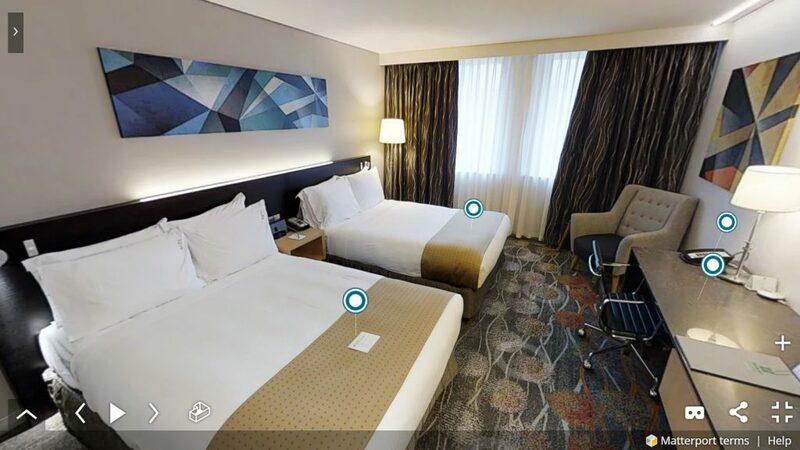 With the Australian hotel industry going through its largest ever era of expansion and rejuvenation, the new technologies could have major implications for the design of new hotels, along with refurbishment of existing properties, from 5-star hotels through to serviced apartment complexes. We have entered an age where technology advancements have made it possible to experience and interact with bricks and mortar via virtual spaces from any geographical location while background analytics provide immediate costing updates to adjust to changing requirements. At the start of 2017, the world was talking about the possibilities of mobile VR and AR applications. Twelve months on and these applications have been built and are already being used by a small group of innovative property companies in Australia. As part of JLL’s work in this space we recently invested in property technology start-up Foyr. Foyr’s technology can create 3D experiences as well as virtual fit-out and visualisation of commercial interiors at the touch of a button. 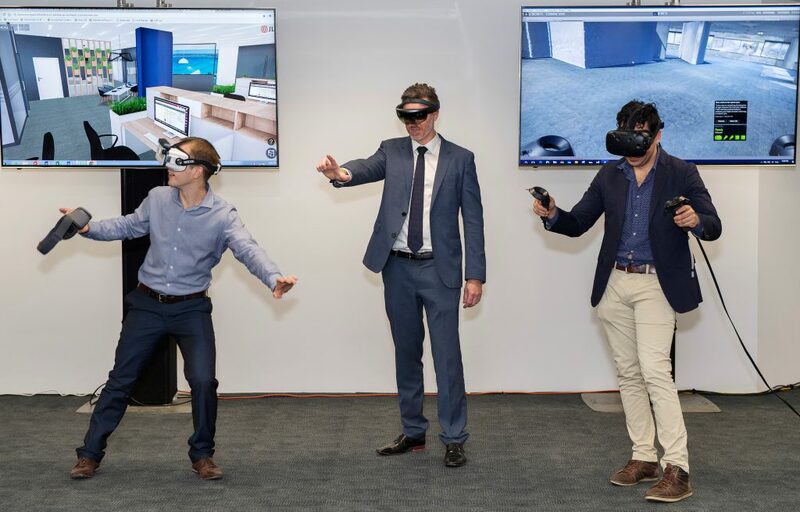 For clients, this means being able to efficiently plan their property spaces through advanced visualisation technologies without drawing out floor plans. This rapidly evolving technology allows clients far more direct input into the design and development process. It enables them to make changes to a design or fit-out on the spot, but importantly, the changes they make are instantly matched by adjustments in the price of the project. Move a wall, change fabrics, alter the bathroom fit-out, upgrade the carpets…the client can see all of this through their mobile phone or goggles along with the cost implications of their choices. In the near future, clients will fully understand the aesthetic, time and cost of a construction project prior to transacting. The level of transparency and reduction in administrative tasks will place greater emphasis on innovation and client experience. In addition to the ability to adjust the design and fit-out with immediate project cost implications, we’ll shortly be able to integrate eye tracking and sensors within VR and AR headsets which will allow us to glean data on how the space makes users feel about various design elements. While this may sound sci-fi to some, our industry has actually been using 3D visualisation for quite some time to capture bricks and mortar spaces and in the design process. Mass adoption has been slow due to limited access to affordable hardware and the ‘incubation period’ required to educate the industry. But that’s all about to change. Why? The advances in visualisation equipment will undoubtedly drive the pace of adoption. If we want deeper engagement with Millennials and Gen Z who have grown up living in virtual worlds, it is imperative that our industry adopts ‘gamification’ to remain relevant to our future clients. We live in an unprecedented time where new hardware is coming to market so quickly that the potential applications and software are playing catch-up. HTC has released untethered VR headsets to the Asian market, Microsoft has just announced the release of their second generation HoloLens headset which superimposes three-dimensional virtual objects over the real world, and Facebook, Google and other IT giants are pushing forward with the application of VR technology for business applications. With the price of entry reducing dramatically, mass adoption is inevitable. What may seem a revolution really isn’t so dramatic because most of the elements have existed in the marketplace for quite some time, it’s just that the convergence of 3D visualisation and data analytics provides the catalyst for arguably the most significant innovation in the construction and property industry in a generation.